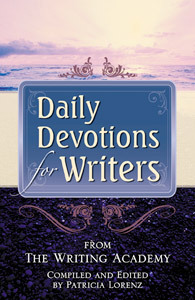 Daily Devotions for Writers provides 366 true stories about the highs, lows, struggles, and joys of writing. This daily pick-me-up is a must-have for those who write professionally, for themselves, or for their families. The page-a-day readings include a short prayer and an inspirational quote. Daily Devotions for Writers takes you by the hand every day and shares real-life experiences to keep you writing. This friendly guide makes a perfect gift for yourself—or any writer in your life!